The UniFi Video Camera G3 features clear 1080p video resolution. The ball?joint mount offers flexible 3-axis adjustment and can be mounted indoors or outdoors. The camera has infrared LEDs with an automatic IR cut filter for day and night surveillance. About the size of a golf ball, the UniFi Video G3 Micro Camera provides 1080p HD resolution at 30 FPS..
Wide-Angle 1080p HD Video Dual-Band Wi-Fi Connectivity Get the full picture in sharp 1080p video. Automatic high-power infrared illumination at night provides crisp video even in the darkest conditions. Super-fast 2.4 GHz and 5 GHz wireless for streaming HD video. The magnetic base provides power to the camera and supports 3-axis viewing adjusting. Mount nearly anywhere with the included wall-mount brackets, adhesive mounting pads, desktop stand, or integrated magnetic base.. The UniFi Video Camera G3 Pro features a powered zoom lens and crisp 1080p video performance with infrared capability. The versatile 3-axis mount enables indoor or outdoor installation of the camera. The camera has infrared LEDs with an automatic IR cut filter for day and night surveillance. Adjust the field of view to precisely match your scene with the ultra-sharp 3X electronically adjustable zoom lens. Capture every detail with the oversized image sensor. See in the dark with the 8 integrated high-power infrared LEDs. The UniFi Application Server and UniFi NVR features pre-installed UniFi Video software that lets you immediately deploy the UniFi Application Server to configure and manage your UniFi Video Cameras. The high-power infrared LEDs, wide-aperture lens and larger image sensor deliver exceptional video clarity, even in the dark. The UniFi Video Camera offers aiming flexibility and can be mounted quickly on a wall, ceiling or pole. Choose a custom skin option for your G3 Flex to suit your environment. Keep an eye on your property from any camera and from anywhere. The UniFi NVR is pre-installed with UniFi Video software for quick and easy deployment. It manages the UniFi Video Cameras and records video according to rules set up in the software. Scalability The UniFi NVR readily manages and records video from up to 50 cameras. Plug and Play Installation The UniFi NVR features a setup wizard for easy configuration. Its pre-installed UniFi Video software automatically detects cameras for rapid deployment. Multi-site support The UniFi NVR supports cameras installed at multiple locations. Intuitive management software The UniFi Video software features an advanced UI and extensive feature set, including custom motion detection zones, event recordings, email alerts, live view monitoring, disk management and analytics. 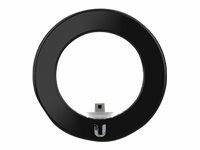 Ubiquiti's UniFi UVC-G3-LED IR Range Extender is an accessory that can be fitted over the lens of the UVC-G3 Video Camera in order to enhance its night vision range. Range can be extended by up to 25m and the UVC-G3-LED accessory is powered and controlled by the UVC-G3 Video Camera. *Not compatible with the UVC-G3-Dome.